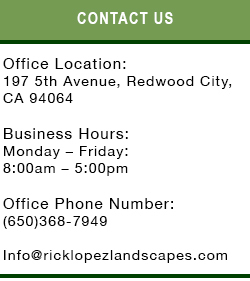 After hearing from you, we will set up an appointment with you—to visit with you and your landscape. We will find out what you want to happen in your yard, what services you are looking for, and specific areas of concern or focus. We will tour your yard with an eye for what is needed to care for your particular environment. We will then make recommendations and determine a price for the project or ongoing service. If you would like a free estimate, please leave us a detailed message and one of our representatives will contact you as soon as possible. 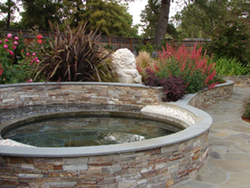 We look forward to helping you create an outdoor living space that you can enjoy for years. Proudly serving communities in the Silicon Valley for since 1989 years—and looking forward to working with you in the near future.